With the addition of Hearthstone and Heroes of the Storm to Blizzard’s already jam packed competitive eSports line up, the company has decided to hold many of the final qualifying matches for its titles on the week before BlizzCon. 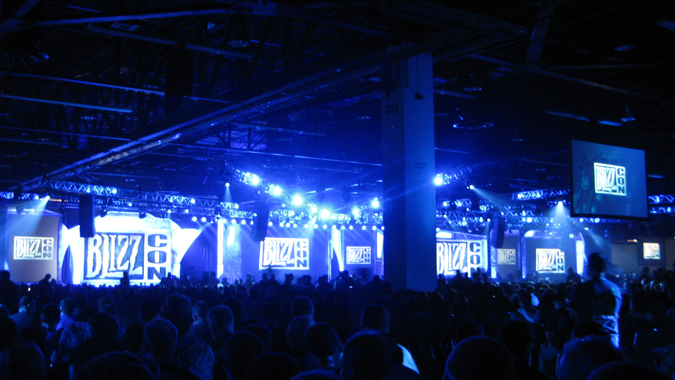 Dubbed BlizzCon Opening Week, the event runs from Wednesday, October 28 to Sunday, November 1 out of the Burbank CA studios. While the Hearthstone, WoW Arena and StarCraft 2 players will battle for a chance to play at the World Finals during the week of BlizzCon itself, the Heroes of the Storm matches are exhibitions and all of those teams will move forward to the World Finals.